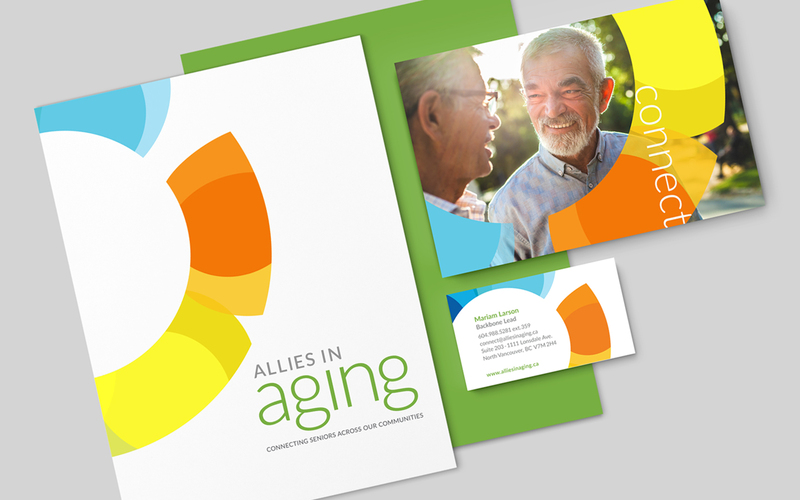 A name, tagline and visual identity for Allies in Aging has enabled this new collective impact initiative to speak cohesively to its partner agencies, senior volunteers and clients, government bodies, and potential funders and financial supporters. The comprehensive branding process included independent research, stakeholder interviews, and an interactive discovery session. 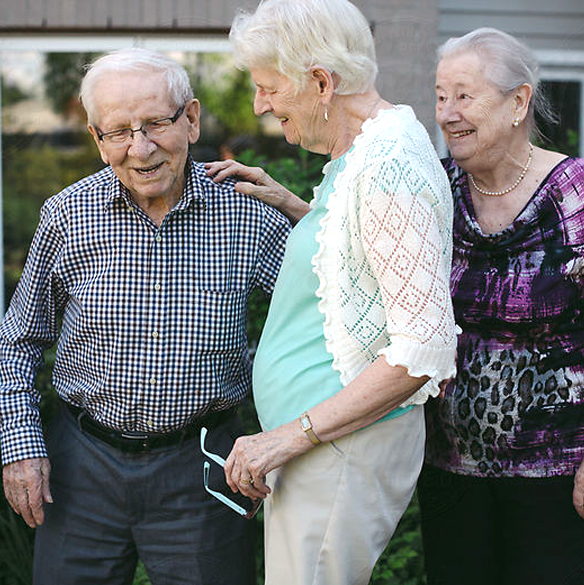 The Allies in Aging program mobilizes four lead service agencies and over 30 partners to connect seniors age 75+ and minimize social isolation. This collective impact initiative is funded in part by the Government of Canada’s New Horizons for Seniors Program – but in late 2016, the program didn’t have a name, a visual identity or a web presence. White Crow was approached to brand this new and highly collaborative program, which needed an identity that would speak to the partner agencies, senior volunteers and clients, government bodies, and funders and financial supporters. The new brand gives the partner agencies a unified, cohesive identity that reinforces their core mission. It’s a recognizable umbrella brand that will grow along with this important community program. We began the project with independent research, stakeholder interviews, and an interactive discovery session. After reviewing the initial findings, we held a lively, half-day panel discussion with local seniors who volunteer with partner agencies. The conversation explored their personal experiences in the community, thoughts about battling isolation, preferred language, visual references, and more. 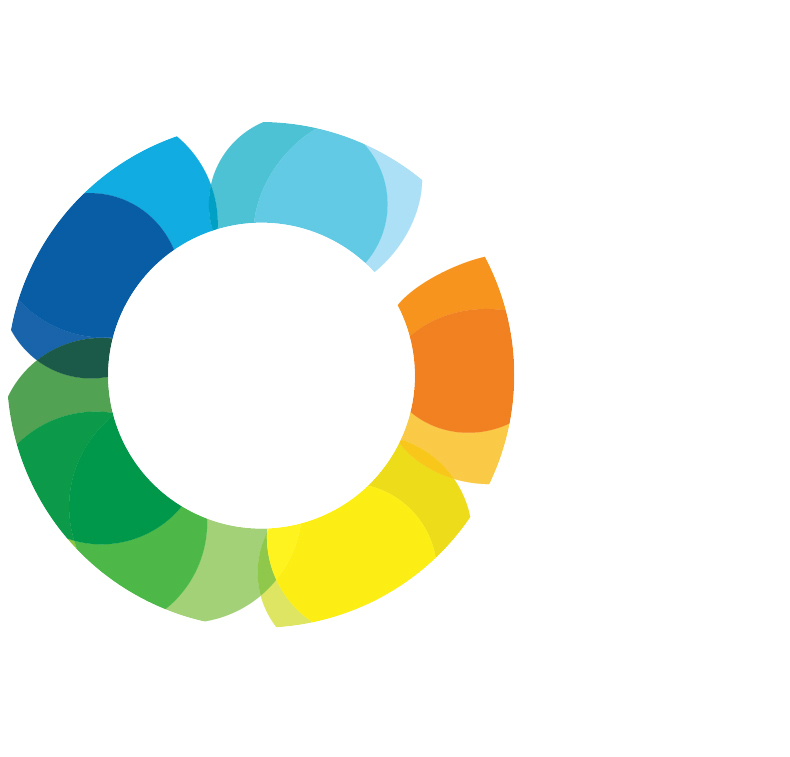 Through multiple iterations, our team incorporated the stakeholder and volunteer feedback to develop the Allies in Aging program name and the supporting tagline: “Connecting seniors across the community.” We designed the colourful, circle-based brand and logo treatment to feel bright, inclusive, and engaging. 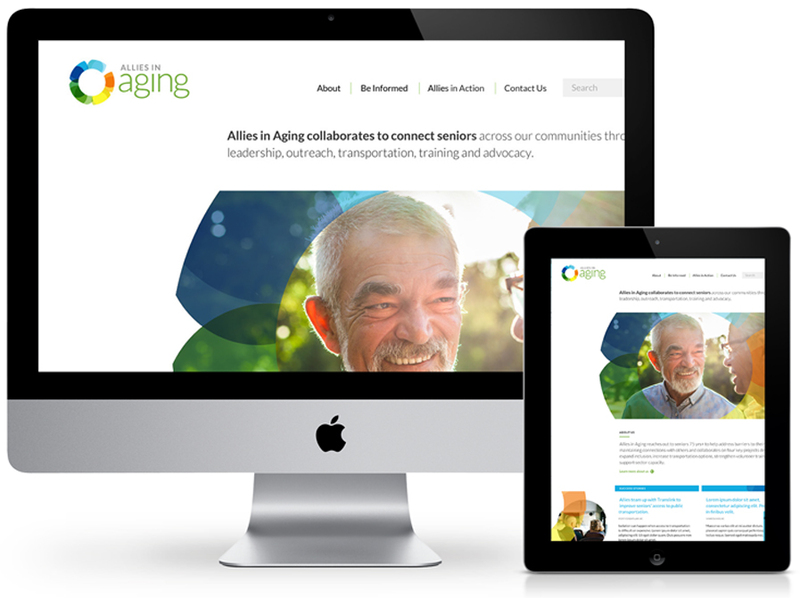 The Allies in Aging website leveraged the extensive research and strategic planning conducted for the program’s brand development. The site has a large user group, because it represents the four key Allies projects and acts as the primary storytelling and engagement resource. The site also provides a hub to recruit and update volunteers across all of the associated programs.